Rear Admiral Mintoro Yulianto, S.Sos, M.Si, Commander of the Second Fleet Command at Puslatkaprang (from the Indonesian Navy) along with H.E. 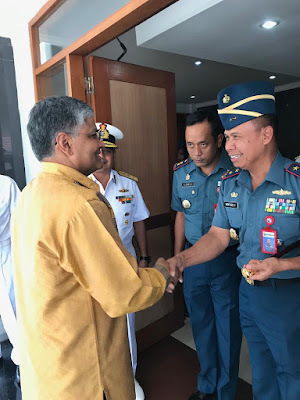 Ambassador Pradeep Kumar Rawat, Ambassador of India to Indonesia and Rear Adm Alok Bhatnagar, NM, witnessed the opening ceremony at the Headquarters of the Second Fleet Command of the Indonesian Navy. Both sides underscored he importance of increased cooperation between two close maritime neighbours for ensuring maritime safety and security. 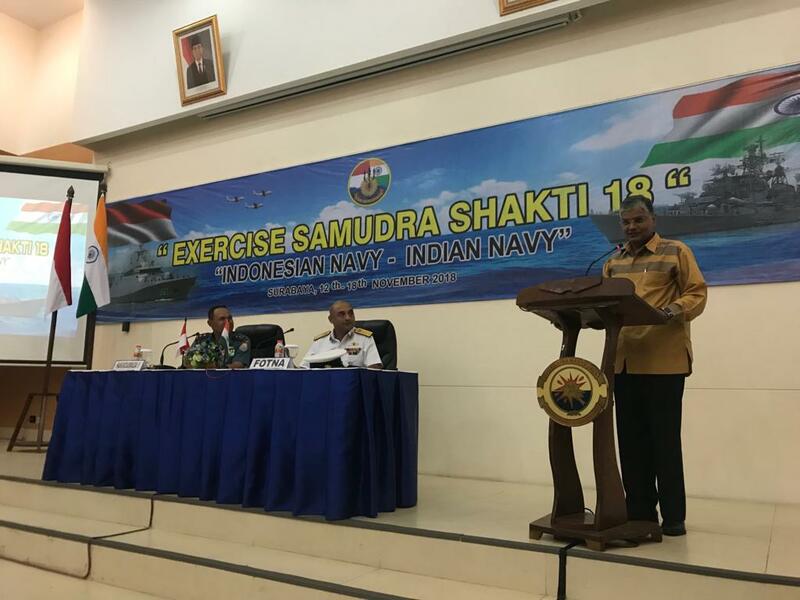 The commencement of this bilateral naval exercise marks a significant forward step in the operational engagement between the two navies following the Ind-Indo Corpat which have been ongoing since 2002. 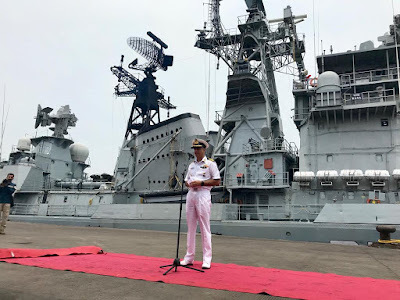 INS Rana ( a destroyer class vessel) commanded by Capt Arun Deswal, will be participating from the Indian Navy and from the Indonesian Navy the units participating would include KRI Sultan Iskandar Muda and Maritime Patrol Aircrafts. The exercise would be held in two phases: the harbour phase and followed by the sea phase. During the harbour phase there will be course deck visits, and discussions between experts in areas of mutual interest including communication inter-operability. During the sea phase, the ships will conduct various activities pertaining to maritime safety and security, including Search and Rescue as well as procedures of investigating and engaging various types of hostile platforms at sea. In addition to the exercises and operational level engagements, there are regular exchanges and discussion ongoing between experts of the two navies. The scope of training exchanges has also been expanded to include specialised training based on area of interest. The 6th edition of the bilateral army exercise Garuda Shakti was held in Indonesia earlier this year, and discussions are also ongoing for conduct of bilateral Air Force Exercise later next year. Hon’ble Raksha Mantri Smt. 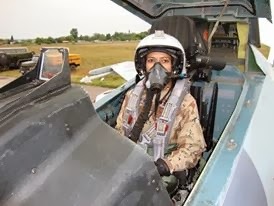 Nirmala Sitharaman had also visited Indonesia from 21-24 October and discusses steps to increase bilateral defence cooperation with Indonesia. It may be noted that following Prime Minister’s visit to Indonesia in end May, it was decided to upgrade the bilateral relationship to Comprehensive Strategic Partnership and both sides had released a Shared Vision for the Indo Pacific Statement, which underscored deepening of maritime cooperation. 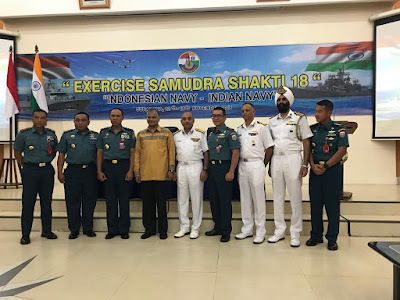 After an intense sea phase of SIMBEX, Singapore India Maritime Bilateral Exercise in the Andaman Sea and Bay of Bengal, ships of the Republic of Singapore Navy (RSN) arrived Visakhapatnam on 16 November. In what could be termed an unprecedented level of interoperability between the two navies – ships, submarines and aircraft of India and Singapore - undertook multi-dimensional exercises at sea with perhaps very high degree of complexity. After the initial harbour phase at Port Blair, the exercises witnessed action at sea and have now shifted gears to the second harbour phase at Visakhapatnam which is home to the Eastern Naval Command (ENC) of the Indian Navy. Few in 1994 would have predicted that the maiden basic Anti-Submarine Warfare exercises that were held that year between navies of India and Singapore would transform into one of the most high level maritime exercises in the years to come and sustain itself for quarter of a century – a milestone like no other. SIMBEX marked its 25th anniversary and is currently underway. This year, the exercises are being conducted in four phases, two each in harbour at Port Blair and Visakhapatnam and two sea phases in the Bay of Bengal. Phase 1 of the 25th edition of SIMBEX has already witnessed over a dozen ships and submarines and a never seen before number of weapon firings at sea. The action now shifts to the harbour activities at Visakhapatnam before they kick off the intensive Second Phase of the exercise. In addition to the number of Operational Conferences towards planning and preparing for the final sea phase scheduled from 19 to 21 November, friendly Volleyball and Basketball matches would also be played between the two navies. The highlight of the sporting activity is the participation of personnel from RSN in the Vizag-Navy Marathon on 18 November off RK Beach. It is a signature event in the state of Andhra Pradesh and Visakhapatnam’s largest community event with participants from armed forces, corporate sector, government sector, educational institutions including international participants. The event attracts a large scale tourist population for participation from various states and countries. Personnel from the RSN would be participating in the 10K Friendship Run. 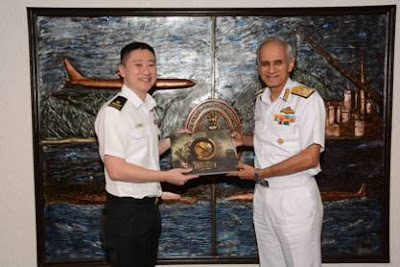 Personnel from Singapore Navy also savoured the local culture and cuisine during their stay at Visakhapatnam. To mark the historic Silver Jubilee of SIMBEX, Naval Chiefs from both the participating countries would also be in Visakhapatnam. Admiral Sunil Lanba, the Chief of the Naval Staff of the Indian Navy would host Rear Admiral Lew Chuen Hong, the Chief of Navy of the RSN at the SIMBEX Silver Jubilee Dinner on 18 November. On 19 November, the Silver Jubilee Commemoration Ceremony would be held at Naval Dockyard, Visakhapatnam. In a symbol of growing trust and comfort levels between the two navies, the event will witness unveiling of the SIMBEX logo, and release of commemorative Indian Special Postage Cover and Singaporean Postage Stamp. The simultaneous release of Postal Cover and Stamp by Indian and Singaporean Postal department respectively also highlights the significance of this historic occasion between the two nations. Earlier, in June this year, the Prime Ministers of both – India and Singapore, on the sidelines of the Shangri La Dialogue held at Singapore had remarked that they looked forward to the 25th and enhanced edition of bilateral annual naval exercise SIMBEX. The high intensity final sea phase of the exercises is scheduled to commence on 19 November and will be marked by the presence of Defence Ministers of both India and Singapore. This in fact would be the first such occasion, when such high level ministerial level presence from both countries would take place at sea. 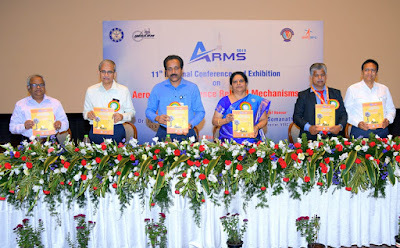 Dr Tessy Thomas, Director General, Aero, DRDO was the chief guest and during her address she highlighted new developments and capabilities of our country in aerospace and defence related mechanisms. Guest of Honour Dr S Somnath, Director, Vikram Sarabhai Space Centre (VSSC), ISRO gave brief history about the design and development of aerospace and defence related mechanisms at ISRO. He also emphasised the objectives of INSARM and ARMS, a knowledge sharing platform for all scientists and engineers. Key note address was delivered by Dr S. Somnath on 'Highly Reliable Aerospace Mechanism of ISRO'. More than 500 delegates participated in the Conference. Vice Admiral Sandeep Naithani, VSM took over as the Director General Naval Projects, Mumbai, on 06 Nov 18, on promotion. Vice Admiral Sandeep Naithani is an alumnus of the 65th course of NDA and was commissioned into the Indian Navy on 01 Jan 1985. The Admiral has done the 55th Defence Services Staff Course and the 54th course of the National Defence College. He holds a Masters Degree in Radar and Communications Engg (MTech) from IIT Delhi. The Flag Officer has held various important Operational, Staff and Dockyard appointments in the Indian Navy. He has done three afloat tenures on the Aircraft Carrier Viraat and has commanded INS Valsura, the premier training establishment for the Electrical Branch of the Indian Navy. His other shore appointments include Director of Personnel and Director of Ship Production at IHQ MoD(Navy), AGM (Planning) at Naval Dockyard (Vishakhapatnam) and Manager, Electrical and Power Systems at Naval Dockyard (Mumbai). 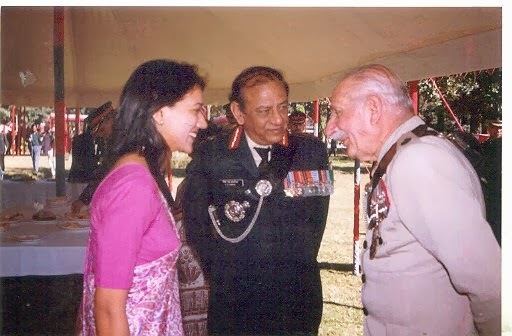 The Admiral is a recipient of the Vishisht Seva Medal for his distinguished service. As a Flag Officer, he has served as the Assistant Chief of Materiel (Modernisation), IHQ MoD(N) and thereafter as Chief Staff Officer (Technical), HQWNC before taking over the reins of the Naval Dockyard Mumbai in January this year. 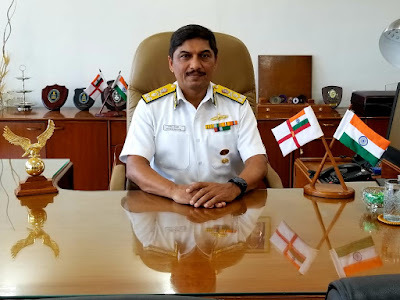 He takes over as Director General Naval Projects from Vice Admiral AK Saxena who is now the Controller Warship Production and Acquisition at IHQ MoD(N), New Delhi. There are only a few militaries that can boast of continuity and cooperation in the field of maritime combat drills like the navies of India and Singapore and that too sustained for 25 years. When the frontline ships of the Eastern Fleet of the Indian Navy and those of the Republic of Singapore Navy (RSN) made their entry into the azure waters of Port Blair in the pristine Andaman and Nicobar Islands on 10 November 2018, it was a treat for the on lookers. The ships arrived at Port Blair for the commencement of the 25th edition of the SIMBEX - Singapore India Maritime Bilateral Exercise. Started as Basic ASW exercises in 1994, today these exercises have graduated to complex maritime combat drills including missile and torpedo firings and shore based intensive professional exchanges. Home to India’s only Tri-Services Command, the crew of the participating warships and the Maritime Reconnaissance Aircraft and integral helicopters, would go through the last minute exercise coordination details with a fine comb at Port Blair. During the harbour phase, in addition to operational conferences towards preparation of the sea phase of the exercises in the Andaman Sea and Bay of Bengal, courtesy calls by both sides on the Senior Officers are also scheduled. 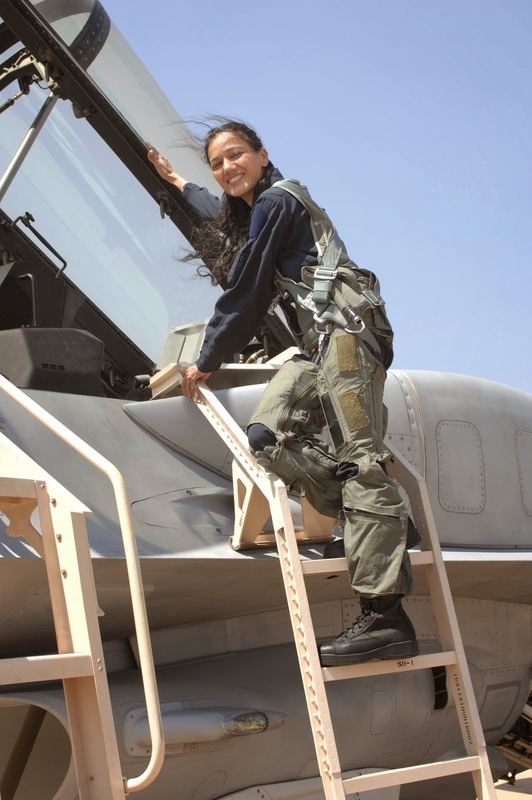 In addition, Subject Matter Expert Exchanges or SMEE as they are commonly known by militaries worldwide are also scheduled. The SMEEs, have over the years provided a platform to formally exchange best practices of respective navies so that learning and improvement never ceases. 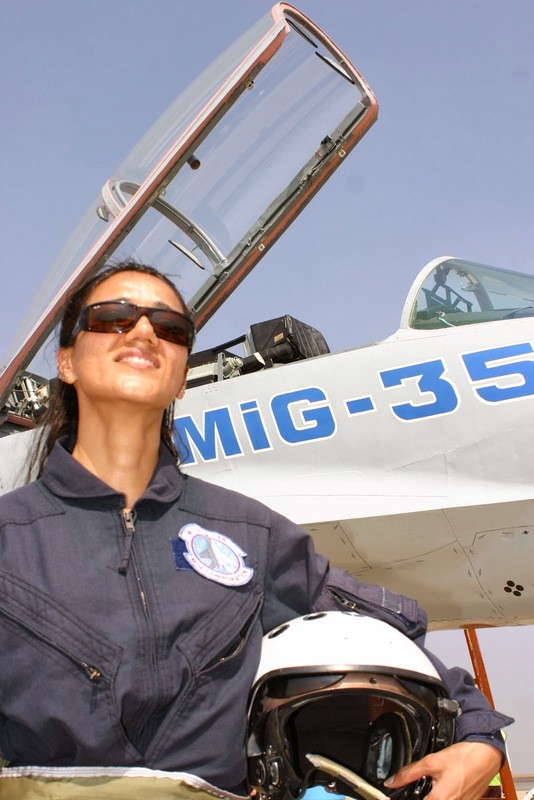 Cross deck visits by air crew towards deck familiarisation are also planned. Over the next two days, Port Blair is playing host to Indian Naval Ships Ranvijay, Satpura, Sahyadri, Shakti, Kirch, Kadmatt, Sumedha and Sukanya along with the RSN Ships, Formidable, Steadfast, Unity, Valiant and Vigour. Maritime Patrol Aircraft of both countries – the versatile P8I of the Indian Navy and Fokker F50 from Singapore would also be based out of Port Blair. Local Flotilla ships based at Port Blair would be ensuring seafront security including in the exercise areas towards smooth conduct of the exercise. Also participating in the exercises are RSS Swordsman, an Archer Class submarine and Swift Rescue, a Deep Submergence Rescue Vehicle (DSRV). While the Indian Navy recently inducted a DSRV on the western seaboard and is slated to induct another on its eastern seaboard, it continues to exercise with various navies and assimilate best practices as well as enhance interoperability. The exercises at sea this year are unprecedented and largest of kind in terms of the complexity and weapon firings. The sea phase would be held under Commander Task Group of Joint Forces of SIMBEX-18, Rear Admiral Dinesh K Tripathi, Flag Officer Commanding Eastern Fleet. Senior Lieutenant Colonel Ho Jee Kien, Commanding Officer of 188 Missile Corvette Squadron would be leading the Republic of Singapore Navy during the first sea phase and would also be the Deputy Task Group Commander. The Ministry of Defence has delegated greater financial decision-making powers to Vice Chiefs of the three Services in order to expedite the decision making process involved in the revenue procurements of the Armed Forces. With the new delegation, the Vice Chiefs will be able to exercise financial powers upto five times more than the existing powers with an enhanced ceiling of Rs. 500 crores. This is likely to give another fillip to the capacity of the three Armed Forces. Marking a major milestone towards capacity building and capability enhancement of the Indian Army, Smt Nirmala Sitharaman, Honorable Defence Minister, today dedicated the globally combat proven M777 A2 Ultra Light Howitzers, K-9 Vajra-Tracked Self Propelled Guns and 6x6 Filed Artillery Tractors to the service of the Nation. Ceremony to dedicate was held at Devlali Field Firing Ranges and was attended by Honorable Raksha Rajya Mantri, Dr Subhash Ram Rao Bhamre, General Bipin Rawat, Chief of the Army Staff, senior serving officers of the Indian Army & Ministry of Defence, representative of manufacturing industries as also dignitaries from the governments of USA and South Korea. 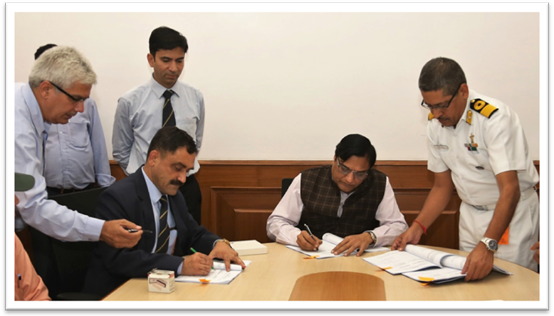 An indigenously developed 6x6 field artillery tractor by Ashok Leyland was also formally inducted to provide the much awaited replacement for the ageing fleet of Artillery Gun Towing Vehicles. The 2018 edition marks the Silver Jubilee of SIMBEX. To mark the historical occasion, both navies are undertaking exercises over an extended geography. This year, the Indian Navy is being represented by the Ranvir class destroyer – INS Ranvijay, two Project 17 multirole stealth frigates – INS Satpura and INS Sahyadri, the Project 28 ASW corvette - INS Kadmatt the Project 25A missile corvettes, INS Kirch, the OPVs INS Sumedha and INS Sukanya, the Fleet Support Ship, INS Shakti, a Sindhughosh Class submarine, INS Sindhukirti, the P8I Long Range Maritime Patrol and ASW aircraft from INAS 312, Dornier 228 Maritime Patrol aircraft from INAS 311, Mk 132 Hawk AJTs from INAS 551 and integral helicopters such as the UH3H, Seaking 42 B, Seaking 42C and Chetak utility helicopters. The Republic of Singapore Navy is being represented by two Formidable Class stealth frigates - RSS Formidable and RSS Steadfast, one Littoral Mission Vessel - RSS Unity, two Missile Corvettes, RSS Vigour and RSS Valiant, an Archer class Submarine, RSS Swordsman, ‘Swift Rescue’ a Deep Sea Rescue Vehicle (DSRV), a Fokker F50 maritime reconnaissance aircraft, embarked S70B helicopters and Scan Eagle unmanned aerial systems. Indian Navy has recently inducted its own DSRV and proved the capability at sea on the western seaboard. 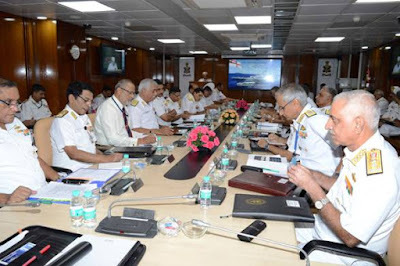 Consultative Committee Meeting of Ministry of Defence on Indian Coast Guard chaired by Hon'ble Raksha Mantri Smt Nirmala Sitharaman reviewed the operational preparedness, Infrastructure development and coastal security mechanism of the Coast Guard. Hon'ble Raksha Rajya Mantri Dr Subhash Bhamre, Hon'ble MPs from Lok Sabha and Rajya Sabha, Director General Indian Coast Guard Director General Rajendra Singh along with senior officials of MoD were also present. Raksha Mantri and the delegation was briefed about the coastal security mechanism and preparedness of Coast Guard to tackle maritime emergencies. Coast Guard’s initiative of making fishermen the Eyes and Ears of Coast Guard was appreciated. Raksha Mantri Smt Nirmala Sitharaman reiterated that the ICG discharges a silent but invaluable service to the nation and lauded the efforts of all personnel of Coast Guard for its multiple successful search and rescue missions, humanitarian aid, assistance to fishermen and increased surveillance capability. Smt Sitharaman also laid emphasis on modernization of the ICG with the Definitive Action Program 2017 – 22 which envisages acquisition of 43 ships, 20 aircraft and other infrastructure. Raksha Mantri appreciated the Coast Guard for successfully implementing Minister's directions on use of local language speaking personnel onboard the ships and aircraft to alert the fishermen during emergencies and rescue operations. Raksha Mantri sought the support of all members of the house and their influence in their home states to spread awareness among the sea-faring community regarding utility of carrying emergency communication equipment which they tend to leave behind and face difficulty in communicating SOS messages in times of emergencies. Raksha Mantri declared that the next meeting of the Consultative Committee will be on Ordnance Depots. A wreath laying ceremony was organised today at the Teen Murti Memorial by the Cavalry Officers’ Association, to honour the sacrifices, valour, and splendid contribution of the Indian Cavalry since World War I. The Indian Cavalry has a long and awe-inspiring history of valour and sacrifice. Teen Murti memorial was instituted in the memory of the cavalry officers, non commissioned officers and men of the 15th Imperial Service Cavalry Brigade composed of cavalry regiments from the Indian states of Hyderabad, Mysore and Jodhpur, with detachments from Bhavnagar, Kashmir and Kathiawar who were martyred in the Great War of 1914-1919, in the Sinai, Palestine and Syria. The Armoured Corps, a successor and inheritor of the cavalry traditions has proven to be the spear of the Indian military might with its mighty T-72, Arjun and T-90 tanks. The memorial service was a solemn ceremony of poise and grace wherein wreaths were placed by serving and retired officers of the cavalry fraternity. 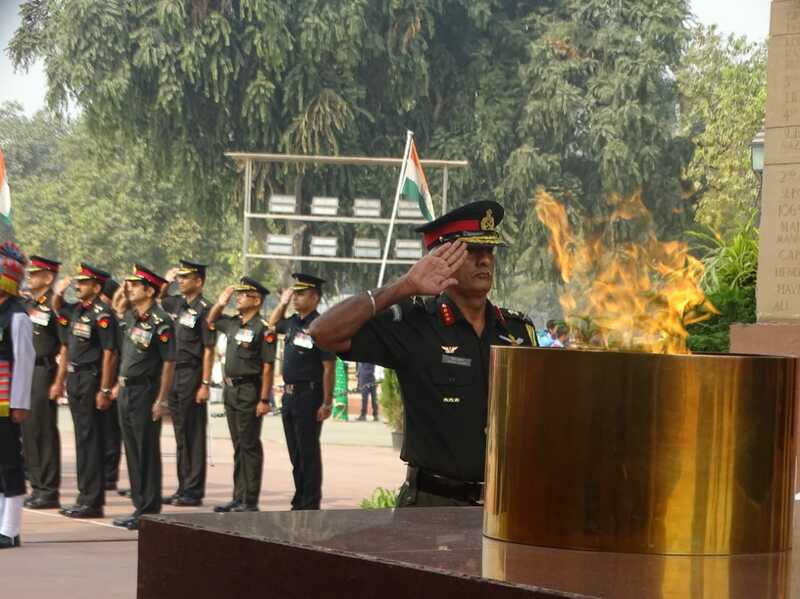 Lt Gen Amit Sharma (Retd), President COA, highlighted the great contribution of the Indian Armoured Corps, in protecting the nation’s sovereignty. This is aptly reflected by the ‘Gallantry Awards’ earned by the Corps since independence, which include two Param Vir Chakras, 16 Mahavir Chakras, Three Kirti Chakras, 57 Vir Chakras and 26 Shaurya Chakras. The second edition of this years’ bi-annual Naval Commanders’ Conference concluded today after three days of fruitful deliberations. The Hon’ble RM addressed Naval Commanders today and complimented all personnel of the Indian Navy for maintaining a high operational tempo and ensuring maritime security of the country. The Hon’ble RM reiterated the need for the nation to be strong at sea and the Navy to be ready and vigilant to counter any challenge in the maritime domain. She appreciated Navy’s efforts in the area of indigenisation, self-reliance and support to the ‘Make in India’ initiative of the Government. She expressed her satisfaction at Navy’s initiatives to achieve ‘Digital Navy’ vision in line with the Government’s initiative of ‘Digital India Programme’. During the interaction the Hon’ble RM reviewed the combat readiness of the Navy, pace of modernisation and progress of various acquisition and infrastructure related cases. She extolled IN’s diplomatic efforts to support the regional Navies that are in consonance with the Hon’ble Prime Minister’s vision of SAGAR – Security and Growth for all in the Region. The Hon’ble Raksha Mantri also appreciated the efforts underway to improve the quality of life and welfare of personnel. Opening her address to the senior echelons of Navy and Ministry of Defence, the Hon’ble Raksha Mantri Smt. Nirmala Sitharaman began by complimenting all naval personnel who continue to tirelessly and selflessly perform their duty of securing the maritime interests of the nation. She lauded the Navy for the outstanding and efficient HADR operations undertaken in the wake of the recent floods in Kerala wherein close to 17,000 personnel were rescued. The selfless dedication displayed by IN personnel during this national crisis and the ability of the Navy, as an organisation, to rise to the demand of the occasion to provide succor to our fellow countrymen in distress, has added yet another feather to the list of accomplishments of Indian Navy said the Hon’ble Raksha Mantri. The Hon’ble Raksha Mantri also expressed her satisfaction with which both the Navy and the Ministry of Defence were performing their tasks in a constructive and a cohesive manner to ensure that the capability shortfalls are mitigated in the shortest possible time. The Conference undertook a review of the Navy’s modernisation plan including induction of aircraft carrier, ships, nuclear powered submarines, conventional submarines, re-vitalisation of the aviation and sub-surface assets and induction of certain state-of-the-art weapons, sensors and equipment. Further, development of technical and support infrastructure for maintenance of these assets were also discussed in consonance with the ‘Indian Naval Indigenisation Plan 2015-30’, which has formulated the requirements of the IN towards indigenous development of equipment and systems over the next 15 years. Army Aviation Corps celebrated its 33rd Raising Day on 01 Nov 2018, and to mark this occasion, a Wreath Laying Ceremony was held at the Amar Jawan Jyoti at India Gate, New Delhi. The ceremonial wreath was laid by Lieutenant General Kanwal Kumar, Colonel Commandant and Director General of Army Aviation, along with a host of serving officers, soldiers and veterans in attendance. Army Aviation Corps is the aerial manoeuvre arm of the Indian Army and has played a stellar role by providing vital air support to our soldiers safeguarding the borders in addition to providing relief to the common man during times of natural calamity. 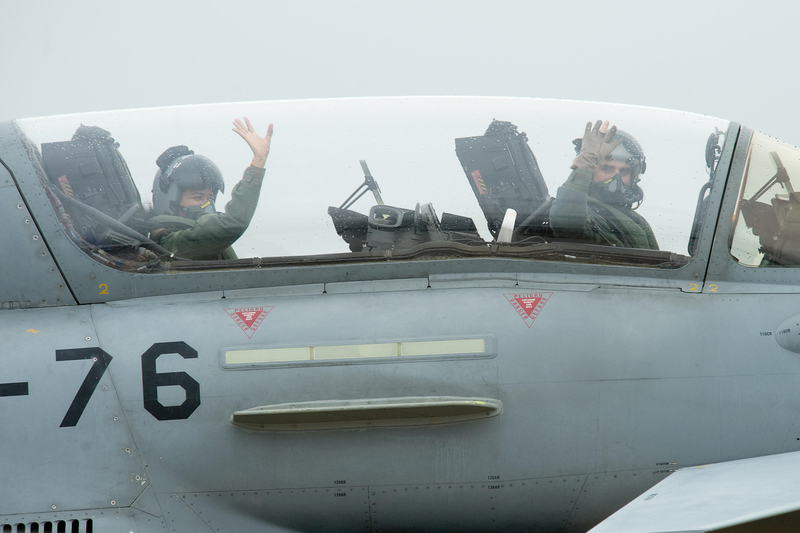 The Corps is undergoing a massive transformation effort and expanding its fleet to augment its combat, tactical lift and surveillance capabilities to act as a potent force multiplier. A two-day seminar has been organised by Indian Institute of Bridge Engineers (IIBE) duly supported by Border Roads Organisation (BRO) on the ‘Planning, Design and Construction of Long-span bridges’ beginning here today. It was inaugurated by Minister of State (Independent Charge) for the Ministry of Development of North Eastern Region, Prime Minister Office, Personnel, Public Grievances & Pensions, Department of Atomic Energy and Department of Space Dr Jitendra Singh. Dr. Singh in his inaugural address highlighted that in overall development of nation connectivity plays a vital role. He expressed his appreciation that IIBE and BRO have taken the initiative to organise this Seminar on such a vital and important topic. Director General Border Roads (DGBR) Lt Gen Harpal Singh highlighted that the topic of the Seminar is a vital subject in today’s context to give due boost to the pace of development of infrastructure in the country. Vice Chief of Army Staff Lt Gen DevrajAnbu expressed the need for development of road infrastructure in North and North East of the nation for efficient and speedy mobilisation of strategic resources along the border. Therefore, the seminar on long span bridges is an apt theme to be deliberated by the fraternity of Bridge Engineers. Construction of bridges across water bodies having widespread water ways, excessive depths of flow, high velocities of current and bouldery riverbed has always been a challenging task for the fraternity of Engineers. Long Span bridges have a significant role to play at such difficult locations especially to facilitate safe and sustainable connectivity with least disturbance to the natural settings of the area and ecology. Engineer-in-Chief Lt Gen SK Shrivastava, MD NHIDCL Shri NN Sinha, MD, National High Speed Rail Corporation Shri AchalKhare and Chairman Technical Committee of Indian Institute of Bridge Engineers Shri Mahesh Tandon also shared the dais with Minister. The seminar is being attended by more than 400 delegates, all dealing with the specialised subject. 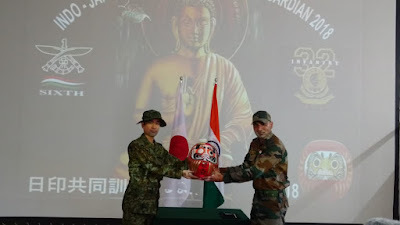 Exercise DHARMA GUARDIAN - 2018, a joint military exercise between Indian & Japanese Armies, commenced at Counter Insurgency and Jungle Warfare School, Vairengete, Mizoram, India on 01 November 2018. The Japanese contingent is being represented by 32nd Infantry Battalion, while the Indian side is being represented by 6/1 Gorkha Rifles. Approximately one platoon strength each of both the battalions is participating in this exercise. The opening ceremony was given a patriotic start by contingents of both the countries singing their respective national anthems. Both sides will jointly train, plan and execute a series of well developed tactical drills for neutralization of likely threats that may be encountered in urban warfare scenario. The exercise will contribute immensely in developing mutual understanding and respect for each other's military. India is a maritime nation and its growth is inexpricably linked to the seas. Under the overall vision of the Hon’ble PM of ‘Security and Growth for All in the Region’ (SAGAR), the Indian Navy has been at the forefront of providing an environment of stability and peace in the IOR. As the premier Navy in the region, the Indian Navy aspires to remain the ‘Net Security Provider’ in the Indian Ocean through collaboration and cooperation with like-minded and friendly nations. The Indian Navy has witnessed an unprecedented growth in its operational tasking over the past decade in consonance with India’s rising maritime interests. The Navy has adopted the ‘Mission-based Deployment’ philosophy and the ‘Maintenance-to-Operations’ transition cycle over the past year to address the need to be present and to respond to emerging situations in the IOR. The conference would among other issues, deliberate upon combat readiness of units and optimisation of resources including manpower to meet the growing list of missions and tasks that the Navy is expected to perform. The conference would have dedicated ‘Brain-storming’ sessions to discuss and conceptualise new ideas and concepts, as well as critically examine organisational structures and processes to meet developing challenges and threats to maritime security. Commanders would also look at utilising emerging technologies such as Big-Data Analytics and Artificial Intelligence (AI) to improve the overall efficiency and effectiveness. The Hon’ble RM would also address the Navy Commanders, outlining the maritime vision of the Government and expectations of the nation and its citizens from the Navy. The conference would conclude on Friday after three days of intense and focussed deliberations. Indian Air Force is organising a two day seminar on ‘Emerging Trends in Aviation Engineering and Logistics’ (AVIAMAT-2018) at Air Force Auditorium, Subroto Park, New Delhi from 31 Oct 18 – 01 Nov 18. Today morning the Chief of the Air Staff, Air Chief Marshal Birender Singh Dhanoa PVSM AVSM YSM VM ADC delivered the key note address. The focus of the seminar is usable emerging and futuristic innovative aviation technologies. The Seminar is bringing together designers, producers and users of high-tech aviation equipment to discuss the potential of innovative indigenous technologies. Budding Innovators and start ups are having an opportunity to showcase their ideas, designs and products. 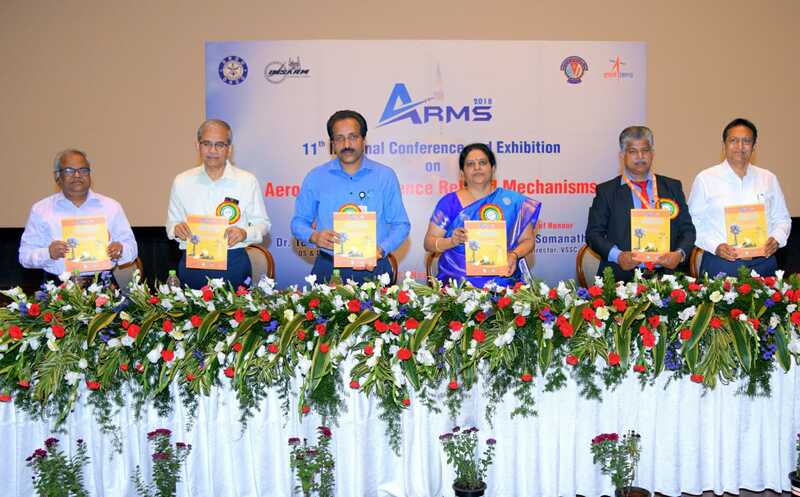 Topics on wide range of subjects like Path Breaking Aviation Engineering Technologies, Indigenous Development of Innovative Technologies, Emerging Trends in Aviation Fuel Management, Emerging Trends in Aviation Training and Evolving Technologies in Military Aviation Sensors would be presented. A display of futuristic technology products is also being organized as part of the seminar. The AVIAMAT Seminar will see participation of aviation experts from three services, Defence Research and Development Organisation (DRDO), Hindustan Aeronautical Limited (HAL) and start ups from the private sector. The contract was signed by Joint Secretary & Acquisition Manager (MS) Shri Ravi Kant on behalf of the Ministry and Director(Shipbuilding)Cmde S Nayyar IN (Retd) for GRSE, Kolkata. Request for Proposal was issued by Indian Navy to four PSU shipyards viz. GRSE, Goa Shipyard Limited (GSL), Hindustan Shipyard Limited (HSL), Cochin Shipyard Limited (CSL) and two Indian Private Shipyards in April 2016, with GRSE emerging as the lowest & successful bidder. The order value for these four vessels is Rs. 2435.15 crore. The first ship is to be delivered within 36 months and remaining within an interval of six months for each vessel. The project completion time is 54 months from date of signing the contract. With this prestigious contract, GRSE’s Order Book as on date stands at Rs. 22,604 crore. The GRSE is currently handling a major project to make three Stealth Frigates for Indian Navy under P17A Project. The defence PSU has been a pioneer warship builder of the nation having delivered the highest number of warships till date since its inception in 1960. The 98 warships built by GRSE so far range from Advanced Frigates to Anti-Submarine Warfare Corvettes to Fleet Tankers, Fast Attack Crafts, etc. with the Shipyard having many firsts to its credit in terms of Innovation and Design. It has already delivered six Sandhayak Class Survey Vessels to Indian Navy between the period February 1981 to February 1993. The present project will further consolidate GRSE’s position as a unique shipyard with all round capability to design and build Survey Vessels with state-of-the-art technology. 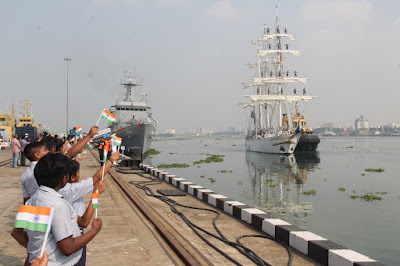 The sail training ship of Indian Navy, INS Tarangini based at Kochi, returned after a seven month long sailing across the world to a grand reception at naval base, Kochi on 30 Oct 18. The ship was received by Rear Admiral RJ Nadkarni, VSM, Chief of Staff, Southern Naval Command. A welcoming ceremony was conducted by the Southern Naval Command at South Jetty of the naval base to mark the occasion. Captain Varun Singh, SC, Senior Officer First Training Squadron and a number of senior officers, families of the crew and other distinguished guests also attended the function. The Voyage named “Lokayan 18” was flagged off on 10 Apr 18 from Kochi. During the voyage, the ship has proudly 'shown the flag' and highlighted the diverse culture of India across 15 ports in 13 countries. The ship sailed across the Arabian Sea, Red Sea, Suez Canal, Mediterranean Sea, Strait of Gibraltar, North Atlantic Ocean, Bay of Biscay, English Channel and North Sea, right up to Norway before commencing her homeward passage back to Kochi. The ship also participated in the culminating event of the ‘Three Festival Tall Ships Regatta’ at Bordeaux, France. As well as the ‘Tall Ships Races Europe 2018’ which started at Sunderland, UK and touched Esbjerg, Denmark and Stavanger, Norway before finishing at Harlingen, Netherlands. During the tall ships regatta, the ship sailed along with hundreds of other sailing vessels, of which 200 were ‘Tall Ships’ like herself, besides taking part in the parade of sails, which was conducted at all these ports. INS Tarangini is a three masted 'square rigged' barque which carries a total of 20 sails. 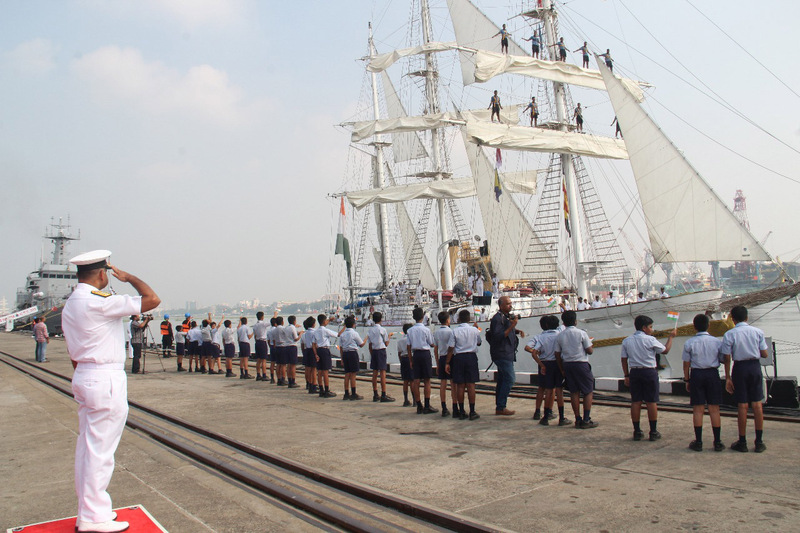 She is the First Sail Training Ship in Indian Navy and was commissioned on 11 Nov 1997. In her 21 years of glorious service, she has sailed over 2,20,000 nautical miles to date across the world's oceans. The ship is under the command of Cdr Rahul Mehta. She has a crew of nine officers and 43 sailors and can also embark 30 Officer Sea Trainees. She is the first of two Sail Training Ships in the First Training Squadron, the other being INS Sudarshini. The primary role of these Sail Training Ships is to develop character and professionalism, as well as inculcate the qualities of initiative, courage, resilience and esprit-de-corps amongst the Sea Trainees and also impart practical training to them, primarily on navigation, sailing and seamanship. Over the years, INS Tarangini has been extensively deployed for long voyages away from her base port of Kochi, which includes one circumnavigation of the globe (2003-04) and three previous ‘Lokayans’ (2005, 2007 and 2015).